Researchers have now confirmed that Oregon now has 4 wolf packs. The new Snake River Pack was discovered by Oregon Fish and Wildlife officials after getting reports from local hunters in the area. This new pack is located on the border of Oregon and Idaho. This is another indication that wolves are migrating from Idaho and are able to find prey and shelter in the woods of Oregon. Oregon still has protection for the wolves so I hope that other wolves in danger of being shot in Idaho make the trek across the border to this sanctuary. 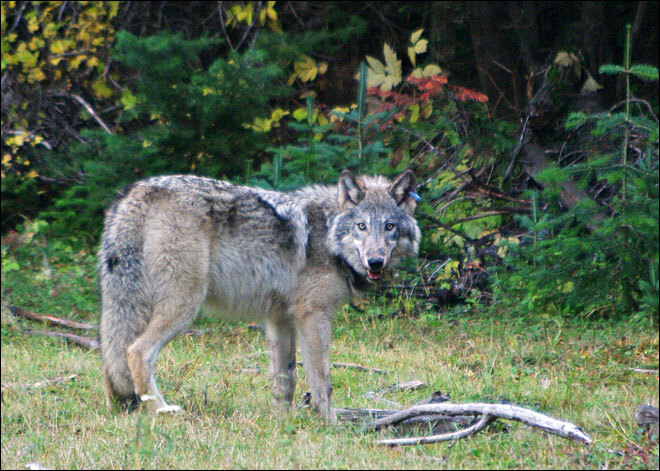 The second update for the wolves in Oregon is that a wolf from the Walla Walla Pack was radio collared this week. This is the 10th wolf that has been collared but the first in this pack. This pack resides close to the Washington Oregon border and just shows that the wolves are able to spread throughout most of the state and is a step in the right direction for successfully reintroduction of the wolf population into Oregon. This entry was posted in News and tagged conservation, Oregon, wildlife, wolf, wolf pack, wolves. Bookmark the permalink. Thats great news. I’m glad to hear Oregon takes the initative to protect rather than destroy wolves, they really are a crucial part of our eco system not to mention a magnificent animal. Absolutely Darren. Hopefully the state fish and game will take the wolf coexistance techniques developed in other states and implement them right away so there is no conflict with humans from the beginning. Wonderful! It’s great that the poor wolves in Idaho have a safe place to move to. Oregon is a good state for wolves, I hope it stays that way. Maybe there is something we can do about Wyoming too. I signed a few petitions for the Defenders of Wildlife, but they always need more. It’s great to hear that you’re signing those petitions Sam! Spread the word and lets show the politicians that they can’t sacrifice wildlife for their political gain.